Another great Sealion AAR, but not this time from Karim and friends at the Stipsicz Hussars. No, this time it’s Tim Whitworth and his friends at the “Like a Stonewall” wargames group who are playing out the action. Click on the pic below to see whether the Hyde Home Guard Platoon, under the watchful eye of their daring commander Major fforbes-Cole MC (retired) can defend Paddlesworth against the Fallschirmjaeger Hun. Another great AAR from Karim Van Overmeire and friends at the Stipsicz Hussars, again from the Operation Sealion scenario pack for I Ain’t Been Shot, Mum! This battle report features Scenario #03: Capture the Port, in which elements of the London Irish Rifles defend the small sea side village of Seabrook against the German 21st Infantry Regiment. The Germans had to capture this position on their way to Folkestone: securing the port of Folkestone was necessary to allow German armour to be brought ashore. Click on the picture below to see if Seabrook will fall under the Nazi jackboot! Julian Whippy and friends fought a cracking game of I Ain’t Been Shot, Mum, details of which Julian posted on the IABSM Facebook group. This Saturday it was off to Salute 2019 at the Excel centre in Docklands. Salute is one of the cornerstone shows in the UK wargames calendar, and it’s easy to see why. Firstly, the Excel centre is a great venue: easy access by car, parking right underneath (even if it is £20 for the day), huge amounts of space, and plentiful food and drink outlets. My only complaint would be that sometimes I find the lighting in the hall a bit dim, but that might just be my fading eyesight! The queue to get in used to be an extreme annoyance - one could wait an hour - but for the last few years its been so under control that, for example, this year I arrived at Excel at 9.50, had a baguette and coffee for breakfast, and then walked straight in to the show without queuing at all. Amazing! The only question is why couldn’t they have organised it like this before! The show itself was full of traders and demo games. There are loads of blogs carrying loads of reports on the show, so suffice to say that it took me all morning and some of the afternoon to get round everything. The Lardies were running a stunning game of Chain of Command set in Malaya in 1942, a period near and dear to my heart (Fall of the Liongate and all that). I didn’t play, but enjoyed watching the action. Also Larding away was Mike Whitaker with his Bloody Omaha game. Now I played this game a few years ago at one of the Evesham games days…and its a cracker. Mike had 486 figures on 144 bases on an 8x6 table on display and managed two complete play-throughs of the scenario. And people say my games are big! As per usual, I did spend a bit too much money, but it was all on absolute bargains, honest! I bought a bag of fifty brushes for £20, which should keep even an established ‘brushbane’ like me going for a bit; and then I also bought one of the “all you can see for £100” mdf sci-fi industrial set-ups from Troll Trader that I just cannot wait to get built and painted up. The show was nicely crowded all through the day, except perhaps at lunchtime. I hear a lot of people saying that their mates didn’t go because they couldn’t be bothered, or it wasn’t their thing any more or something rubbish like that. All I can say is that they are wrong: Salute is still a cornerstone show and a must-visit for any wargamer in reach in the UK. 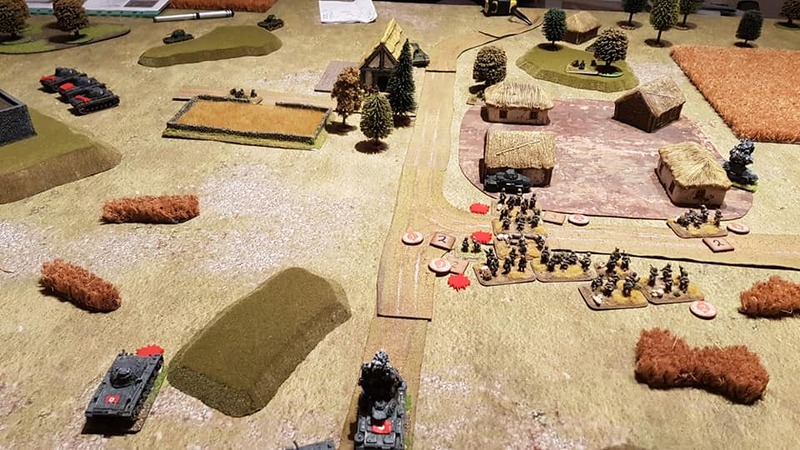 Karim van Overmeire and the Stipsicz Hussars are continuing to play through the Operation Sealion scenario pack, this time they fight scenario #02: Rearguard at Pevensy. Dan Albrecht has posted a retrospective battle report onto the IABSM Facebook group. The game is an adaptation of the Skirmish at Grandcamp scenario from the Skirmish Games scenario book Heroes of Omaha and Panzer Lehr . Tim Whitworth and the Like a Stonewall Wargames Group had a second go at the “Attack on San Marco” scenario from the “Cymru Am Byth” scenario pack. Rather than start a new AAR, I’ve added the words and pics to the bottom of their first attempt. Another great battle report by Carojon and the Devon Wargames Group. This time they have ventured into the Western Desert, with a version of the battle for Longstop Hill: the encounter that opened the way for the final Allied advance on Tunis. What’s great about this AAR is that the forces are detailed as well: so it will be easy for you to replay this encounter yourselves should you want to. A quick, pictorial battle report from Mike Whitaker’s blog Trouble at T’Mill, featuring his newly painted half-tracks. Click on the pic below to see all. I’m happy to add any other pictures or info people have about the game: usual address of admin@vislardica.com. It’s been ages since we saw anything from the Stipsicz Hussars, our friends in Belgium/Flanders, so I was really pleased when the following battle report dropped into my Inbox. Here we see the first game from the Operation Sealion scenario pack: the British defending a vital bridge against assault from German Paratroopers. It’s hard to reach the middle of the table when you’re only nine! Another great 20mm IABSM game from the Like a Stone Wall Wargames Group. This one is set in Italy in July 1944, and represents the British attack on San Marco. This weekend just gone, John, Dave, Bevan and I re-fought the Battle of the Bulge scenario that we played a couple of years ago. You can read the AAR for that game here (opens in a new window). I played the Germans in that one, but played the Allies today. A cracking game that was action, action, action from the moment battle was joined. Here’s a collection of great pictures from the “Like A Stone Wall” wargamers latest game of I Ain’t Been Shot, Mum. Set during Operation Epsom, there are some lovely 20mm figures on show. Click on the pic below to see all. A nice little after action report from Desmondo Darkin, orginally posted on the I Ain’t Been Shot, Mum Facebook page. Not only do we get the first part of an AAR (the rest being lost in the mists of time!) but also some hints and tips on how to run an island invasion of your own. 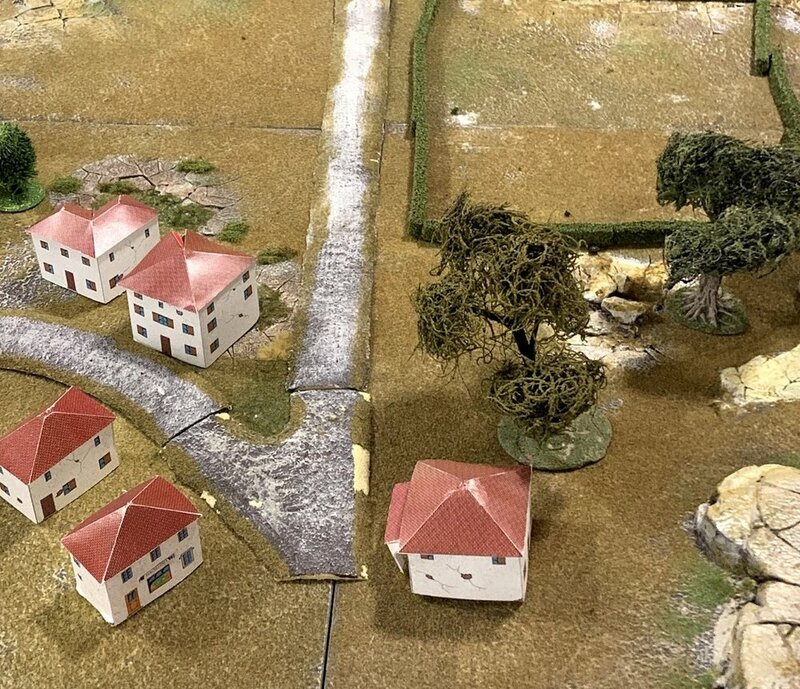 Quite appropriately for whether we have been having recently, Tim Whitworth and the Like A Stone Wall wargames group raided the 2005 Summer Special for a scenario with which to play their latest game of I Ain’t Been Shot, Mum!